Know what you believe, and why you believe it…and not something else! OK, obviously I’m not looking for someone truly contentious, but it made for a clever (arguably) alliteration. In all seriousness, now that we’ve had an infant baptism debate between a Protestant and an Eastern Orthodox, I think it would be useful to have a debate between two Protestants, one a creedobaptist, the other a paedobaptist. I think I have a listener who’d be interested in representing the Presbyterian perspective. If you or anybody you know might be interested in representing the Baptist perspective, please contact me. I’d love to set something up! Debate topic: “Infants are not the proper subjects of the ordinance of baptism.” Jamin Hübner, founder of www.RealApologetics.org and author of The Portable Presuppositionalist, affirms. Eastern Orthodox Rev. Pr. Laurent Cleenewerck, editor of The Eastern / Greek Orthodox New Testament, denies. This episode is part 2 of their debate, including the second round of cross-examination, closing statements and listener Q&A; listen to episode 83, “God Bless the Child,” for part 1’s opening statements, rebuttals and first round of cross-examination. Debate topic: “Infants are not the proper subjects of the ordinance of baptism.” Jamin Hübner, founder of www.RealApologetics.org and author of The Portable Presuppositionalist, affirms. Eastern Orthodox Rev. Pr. Laurent Cleenewerck, editor of The Eastern / Greek Orthodox New Testament, denies. This episode is part 1 of their debate, including their opening statements, rebuttals and first round of cross-examination; listen to episode 84, “When You Believe,” for part 2’s second round of cross-examination, closing statements and listener Q&A. Originally posted October 17th, 2010. Having finished moving over the content from Podbean to the new web host, it’s time to begin moving over the much older content from Blogger. Whereas with the podcast feed I wanted to recreate it with the original publish dates and everything, I’ve decided I’ll just periodically reach into the Blogger archive and post something I think was valuable enough to republish here. Enjoy this first one! Pentecostals and some proponents of baptismal regeneration believe baptism in the Holy Spirit is something different from, above and beyond, the saving, indwelling of the Holy Spirit. In an attempt to demonstrate this, they’ll often argue that the Apostles received the Holy Spirit well before Pentecost. Thus, they insist, the baptism in the Holy Spirit which they experienced at Pentecost must be something different from, something more than, the receiving of the Holy Spirit which they already experienced. This is, in fact, not the case, as the Word of God demonstrates. 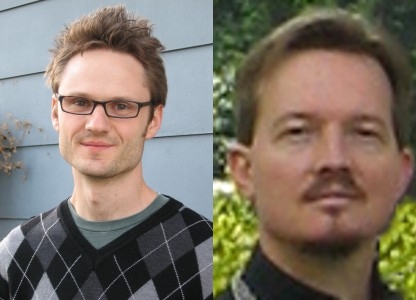 Next up on the Theopologetics podcast: what will be the seventh Theopologetics Debate, this time on infant baptism between a credobaptist Protestant and an Eastern Orthodox theologian. Jamin Hübner, founder of www.RealApologetics.org and author of The Saving Grace of God, Light Up the Darkness, and The Portable Presuppositionalist, goes toe to toe with Eastern Orthodox Rev. Pr. Laurent Cleenewerck, editor of The Eastern / Greek Orthodox New Testament and faculty member at EUCLID and Humboldt State University. Be sure to email me at chris@theopologetics.com if you want to pose a question to either participant! Make sure to tell me to whom you wish the question directed. Click here for monthly giving.